CADAC seeks to address environmental issues through education, advocacy, sustainability and activism. We believe raising an environmentally literate generation of problem solvers will help ensure that tomorrow’s decision makers are prepared for the challenges they will likely face. 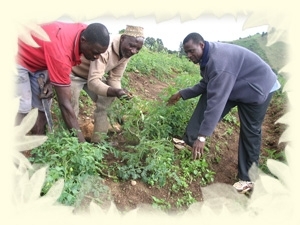 We are constantly looking for avenues to support individuals and communities to become self-reliant by creating and developing sustainable practices and projects that help reduce dependency and increase the standard of living of people in rural areas. Our small interest-free loan initiative is designed to help the poorest of the poor take their first step out of a circle of poverty by providing them with seed capital an d skills necessary to operate, manage and grow their own small scale business. For over two decades, many African countries have been experiencing economic crises. The standard of living has continued to drop drastically. Many countries have seen their currency devalued and, in addition to the devaluation, salaries have been reduced to half. Consequentially, many families are unable to afford basic necessities. Unemployment continues to rise at an alarming rate. 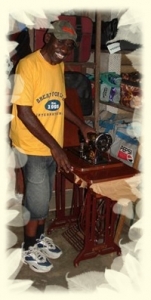 Our Economic Empowerment Projects operate in the form of a micro-loan scheme. Through the support of our partners, we provide funding to individuals and groups to start up businesses, or build an already existing one. We also provide regular training in business management. Over 50 people receive support yearly from CADAC, ranging from 50,000 FRS to 500,000 FRS to start up businesses or expand already existing ones. This program is designed to provide individuals and groups an opportunity to receive assistance and acquire the skills necessary to operate, manage and grow their own small scale business. We envision doing this will reduce the circle of perpetual dependence on western benevolence and help the local economy and community. Our Entrepreneurial Training component consists of hours of classroom training through CADAC/Bread For Life’s “Effect of Vision” conferences and seminars. These seminars and conferences offer sessions covering all facets of operating a small business, like “Why start a business?” “How to start a business” “How to write a business proposal” “The Power and Effect of Vision” “Ethics & Business“. Selected participants also receive one-on-one technical assistance designed to produce a viable business plan. A CADAC staff member visits regularly to assess the business, interact with the new entrepreneur and offer advice. After each training, a number of participants are given access to a micro-enterprise revolving loan fund based on a number of criteria.